J Crew's honeycomb cable sweater retails for $79.50 and comes in a variety of colors. 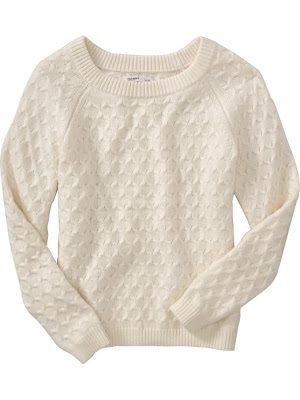 Although not available in as many color options, this textured sweater from Old Navy is a great alternative. I saw this in the store and it is incredibly soft! It retails for $36.94 and you can click HERE to purchase.